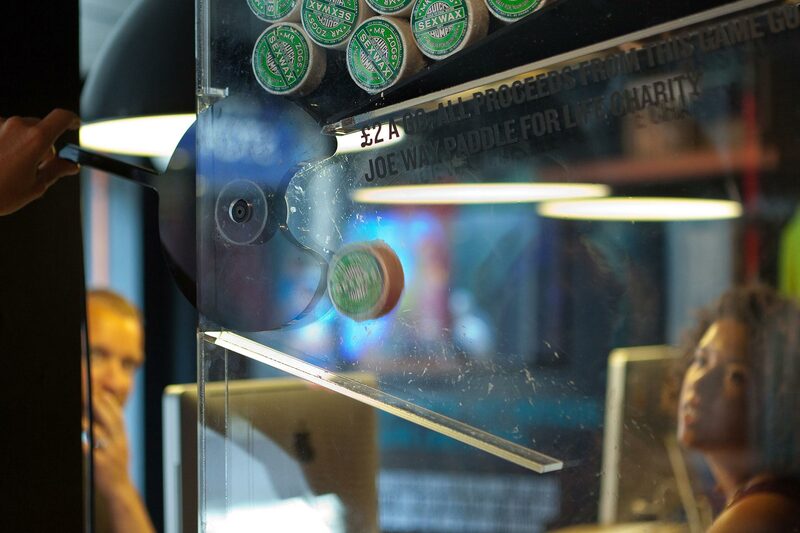 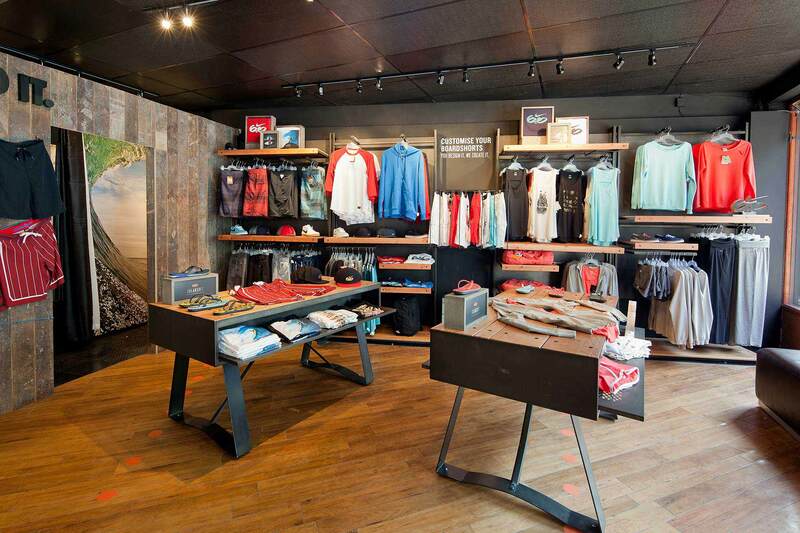 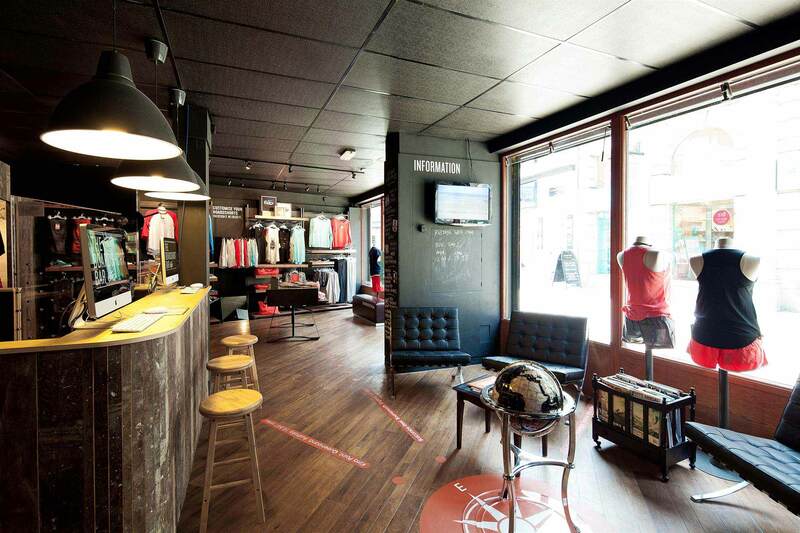 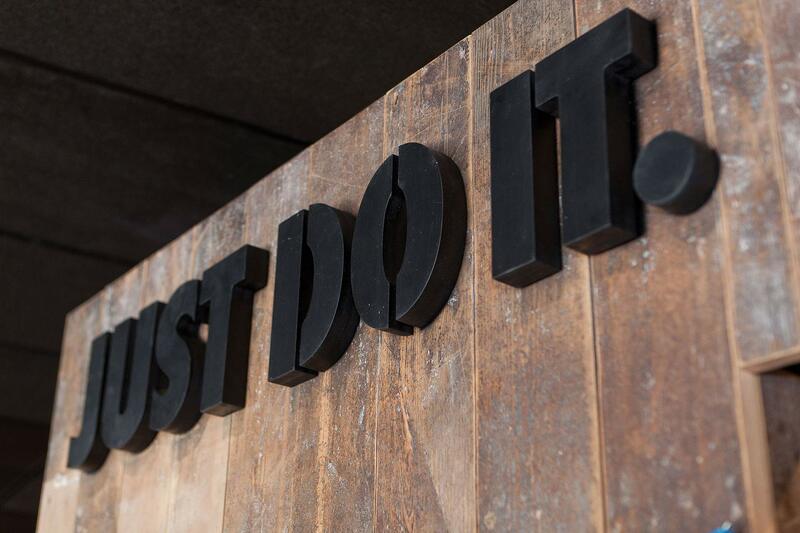 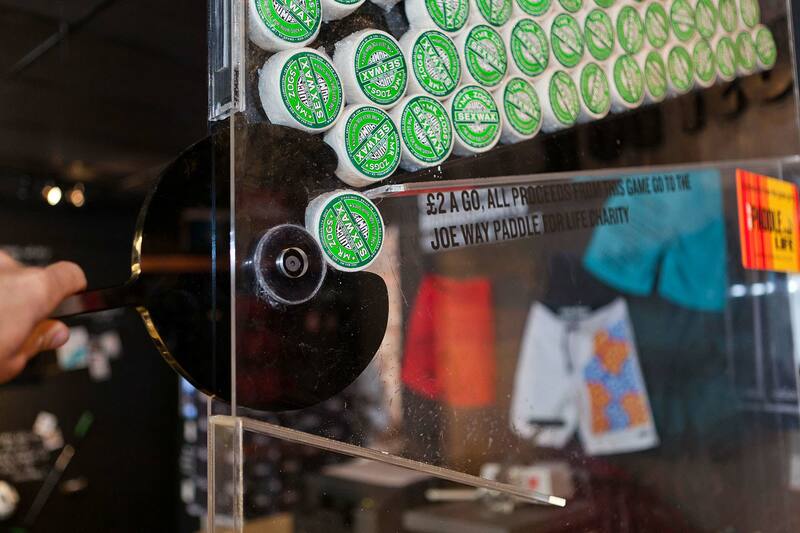 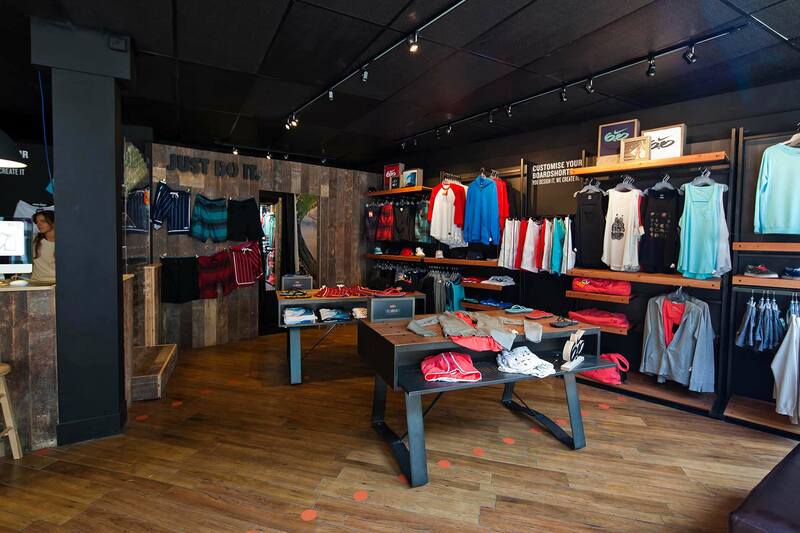 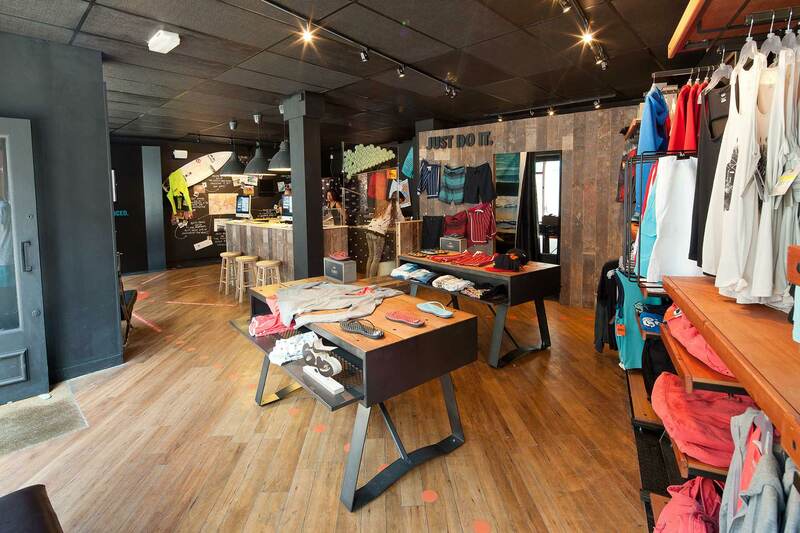 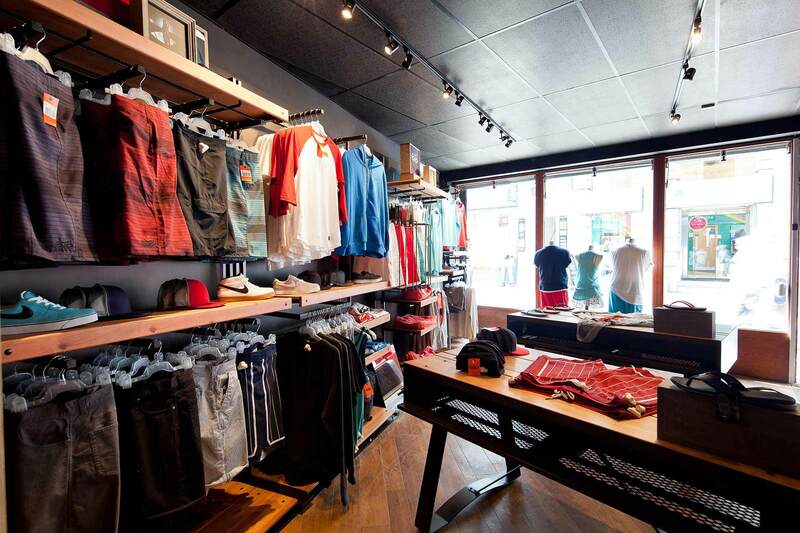 The store, a disused retail unit in the centre of Newquay, was transformed within three weeks to be unveiled as the Nike 6.0 Boardshort Bar to coincide with a series of Nike sponsored surf competitions and concerts in July 2011. 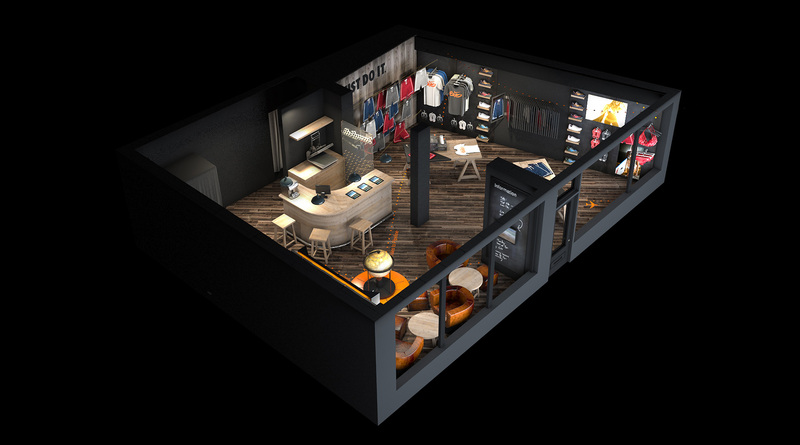 Aiming to raise awareness of the (then) new Nike 6.0 surf brand, Nike commissioned Boex for planning, architectural and interior design guidance. 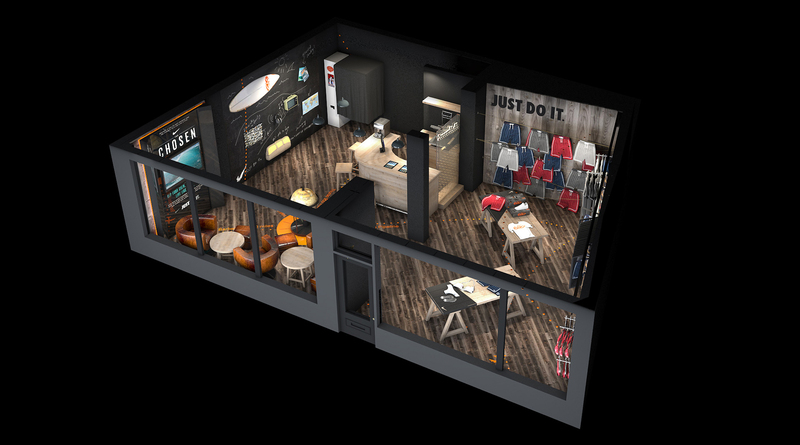 We worked closely with the 6.0 marketing team and a network of fabricators to align our designs closely to the existing Nike 6.0 consumer experience. 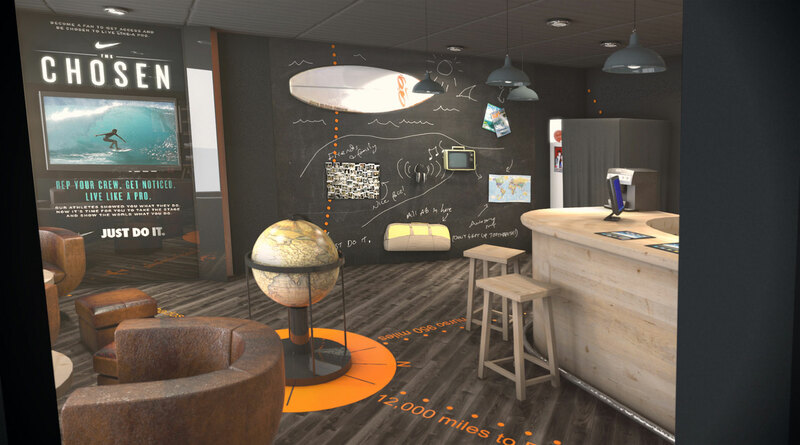 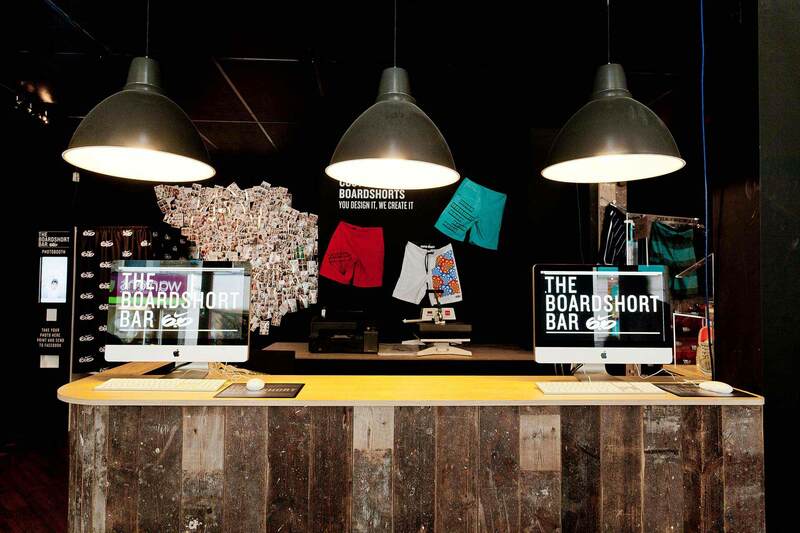 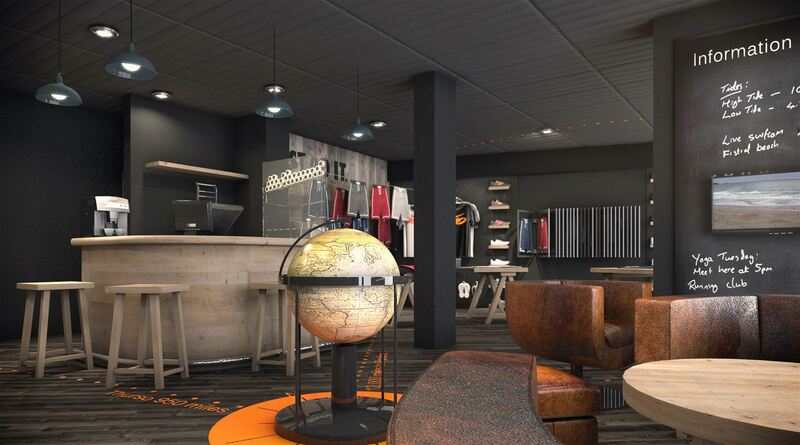 Reclaimed timber counters and fittings, black walls, ceiling and light fittings keep the focus on the products, in particular the boardshort bar where customers are able to design their own shorts and have them printed there and then. 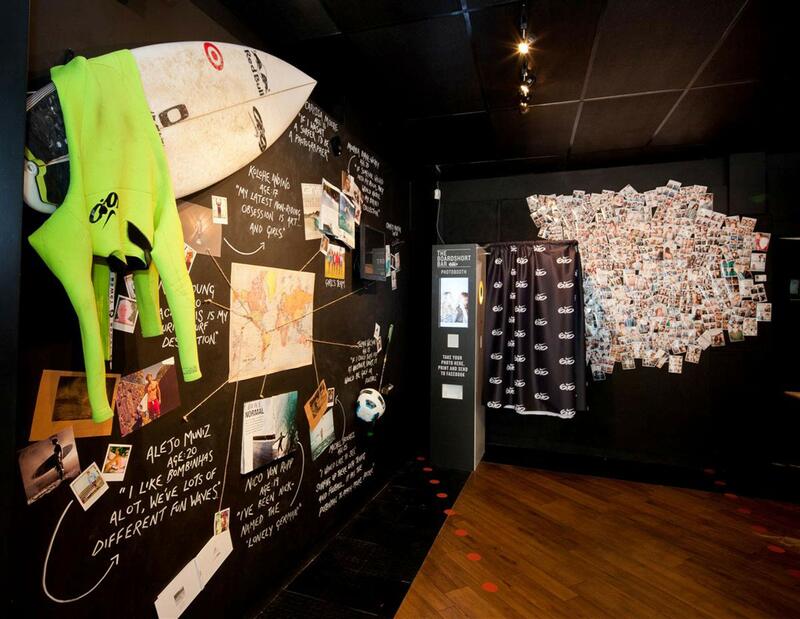 Designed as an experiential retail environment, screens broadcast a live feed of the surf competitions, a Facebook linked photo booth was a great opportunity to share memories and broadcast the Nike 6.0 brand to a wider audience, a feature wall raised the profile of key Nike team riders and an intriguing custom built surf wax game helped raise money for the Joe Way Paddle for Life charity.